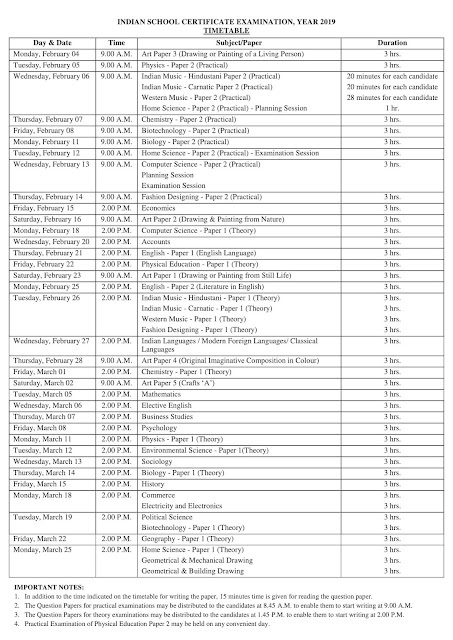 The Council for the Indian School Certificate Examination has announced the ICSE 12th Date Sheet 2019. Students who are perusing 12th form ICSE board can download their exam time table now. The exam will start from 04 February 2019 (Monday) and will continue till 25 March 2019 (Monday). The exam timing will vary from subject to subject you can check it from below. Step 2: Now take your cursor towards the “Notice Board” section and hit on the “Time Table of ICSE Year 2019 Examination” link. 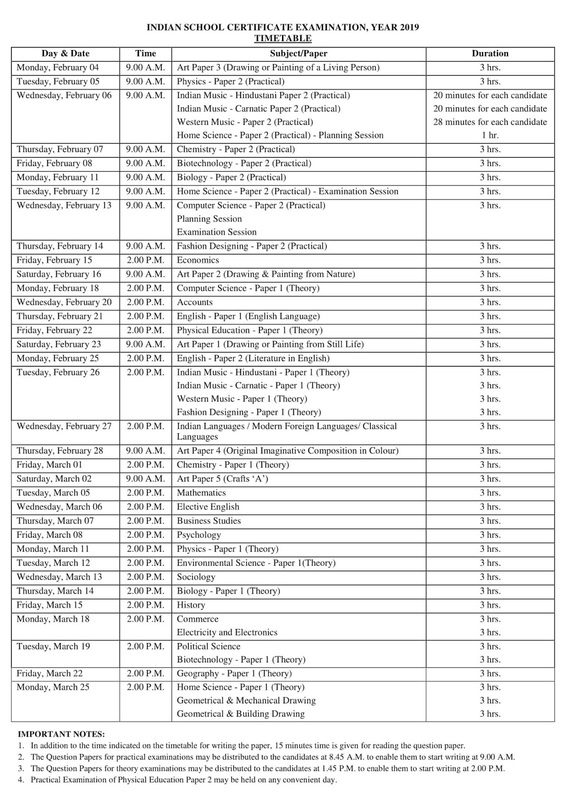 Step 3: An ICSE 12th Date Sheet 2019 PDF will appear at your screen. Step 4: Check your exam dates. Step 5: Finally download the date sheet and take a hard copy of the same for future reference.